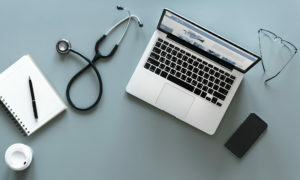 Any Kelowna accounting firm will tell you that if you have extensive medical expenses throughout the year, it’s good to know how to record and manage them to assist you when you are doing your taxes. Take a look below at the tips we’ve come up with to help you understand how the tax calculations work and how best to claim and record them. Let’s get this out of the way, claiming your medical expenses does not depend on how much you actually paid for said medical prescriptions or treatment. Instead, the amount you claim depends on your income. It also depends on your significant expenses over the course of the year because of the way the medical expenses credit is designed to assist Canadians. As a result, only a part of your medical expenses are deductible. From your total medical expenses, the lesser of either $2208 or 3% of your income will be deducted. For example, if your net income is $70,000, the first $2100 of medical expenses won’t count toward a credit. So now it comes down to that age old question, no not which way the toilet roll should go (pro tip it was actually designed to roll from over the top) it’s the question of which spouse should claim the expenses. Unfortunately, there isn’t a clear-cut answer. The answer depends on the income levels and credits available to each spouse. Usually, due that 3% income rule, the person who earns less in the family has a lower level to reach before medical expenses translate to a credit. Let’s say that one spouse earns $55,000 and the other earns $45,000. Only expenses over $1650 will be applied as a deduction to the first, while the second has a much lower barrier to get deductions at $1350. This being said, if a spouse has enough credits to bring their taxes owing to zero, then by all means let them claim the expenses. The medical expense credits would go to waste otherwise. Especially since medical expenses are usually non-refundable in most cases. Medical expenses break the common rule of not having to follow the calendar year. You get to choose when the 12 month period is that falls within the tax year. This can be especially helpful when life throws you unexpected events. For instance, you’ve been hit hard from October 2017 to February 2018 with medical expenses; one kid broke their leg while snowboarding, you got a pinched nerve moving a couch, and your spouse needed a dental crown or implant. Following the path of the normal calendar year might result in a difficult time paying for all of this. Your 3% income deduction would occur for 2017 and 2018 following the standard year. This would take money away from you as all those medical expenses would be split. Instead, having the year start July 1, 2017 and end June 30, 2018 would allow you to lump all these expenses together giving you the maximum impact of the 3% rule since it would only occur once. Just keep in mind that you need to keep track of the start and end dates. While we don’t “claim” these are the only tips you should consider for claiming medical expenses, and we hope that you’re not feeling to “taxed” by this point, hopefully this short guide has helped you out! Let us know in the comments below if you have any tips or tricks that have helped you.